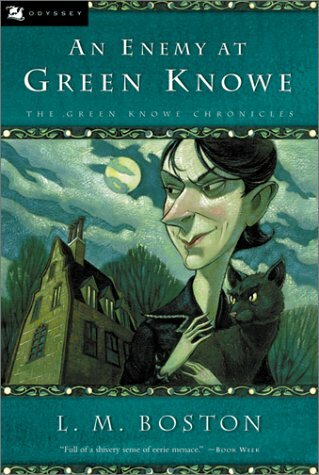 Green Knowe – truely, madly, creepy! I don’t know about you, but as far as I’m concerned, the most enjoyable children’s books always have some sort of a bite in them(is it the same as Young Adult? I’ve never known where the cut off point is there. Will check with the oracle in a bit! – UPDATE – she indicates that its discretionary. So I shall stick with children’s, as I think YA is a horrendous degrading marketing ploy.). From Roald Dahl (where the bite might be literal! 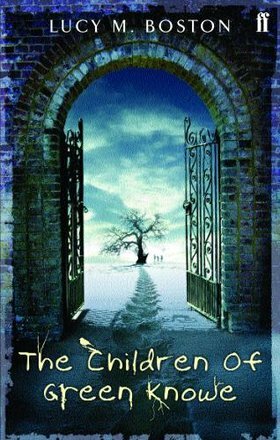 ), to Enid Blyton, to Philip Pullman, Michelle Paver, JK Rowling and so on; the who’s who of children’s books have all recognised that to appeal to a literate and intelligent young person; there needs to be an element of danger, consequences for crimes, consistent and rational (albeit fantastical) characters, and the reality that, very often, you can rely only on yourself (and a select band of buds) to get the job done. I believe that they also recognise that to provide anything less is to patronise and condescend their audience. Recently, I read an article linking strong, successful young heroes and heroines with abusive, absent or neglectful parents. While the focus in this article was bad parents, I found myself reflecting that while society seems to enjoy portraying children as soft, delicate, vulnerable and weak, the books standing the test of time do not. Rather, they provide somewhat more of a challenge. After all, in some parts of the world, it’s little people that make our shoes – and I don’t mean elves! The prime example here is in the Chronicles of Ancient Darkness books by Michelle Paver (introduced to me by BookElf, whose speciality seems to be finding stories set in the ether before time, that are too compelling to put down!). 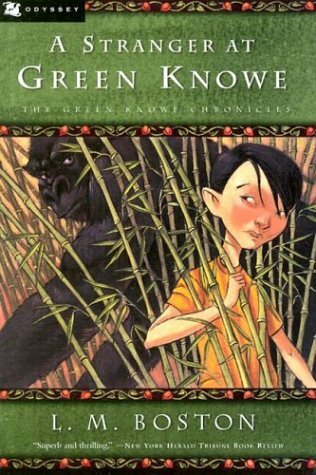 On the first page alone of the first book, a character dies from a bear mauling. Sorry, a father dies, leaving his ten year old son alone. It’s not graphic, but it’s still pretty grim, and the rest of the books are all similarly set with a realistic tone. Good things happen, and everyone feels great, but bad things also happen, and each bruise, scrape and hurt feeling is equally revealed. It’s great. In a world where children’s television has never really recovered from the horrendous purple dinosaur, and the PC explosion – I love that it is in books that the shadows of this world are explained to our young un’s. For me, one of the most delicious and creepy of worlds was created in the mid 50’s by a woman in her mid-60’s, Lucy M Boston. 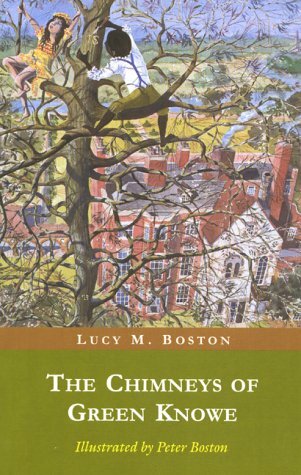 She wrote stories that linked the past to the present – inspired by her own home, one of the oldest continually occupied houses in Britain, built in the 1130’s(!) – and wasn’t afraid to delve into the dark to achieve the most fulfilling stories. In 1976, the Beeb made a 4 episode series based on the first book, and even more recently, Maggie Smith headed the cast of From Time to Time in 2009, based on the second in the series. If you’re losing interest, stop now! What follows is a rather chaotic and rambling appreciation for each book, which will make no sense to those who havn’t read the books…and possibly only slightly more if you have! Meet Linnet Oldknow. She is the most recent occupant of a house that dates back to the times of Moses…or the Norman’s actually. Her family have been occupying the house for generations, and when her grandchild – the most improbably named Toseland (Tolly) comes to stay, she entertains him with stories of the old days. Somehow – in a beautiful piece of magic that is all the better for not being explained – Tolly begins to interact with the ‘ghosts’ of the house’s other children (Toby, Alex and Linnet), primarily through the only surviving picture of the family of the time (though its been a while and I might be mixing books here!). 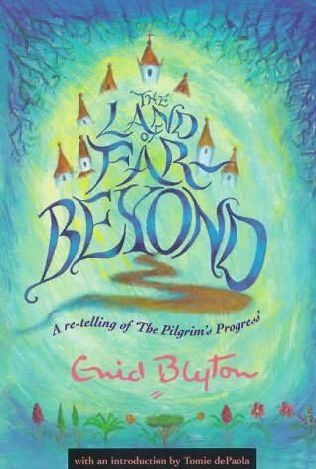 In the following book, it is the patchwork quilt being repaired that provides the medium for the ghostly encounter, and Tolly meets the blind Susan and her special friend, and slave Jacob. The themes begin to develop and evolve from mere familial interaction and a sense of home, to the social issues that would have been present at the time – the restrictions placed on girls,(perceived!) racial superiority, the treatment of slaves, and the disabled/advantaged, and a mysterious theft! Of all of them, I think that this is the most compelling, and I love Love LOVE Susan! 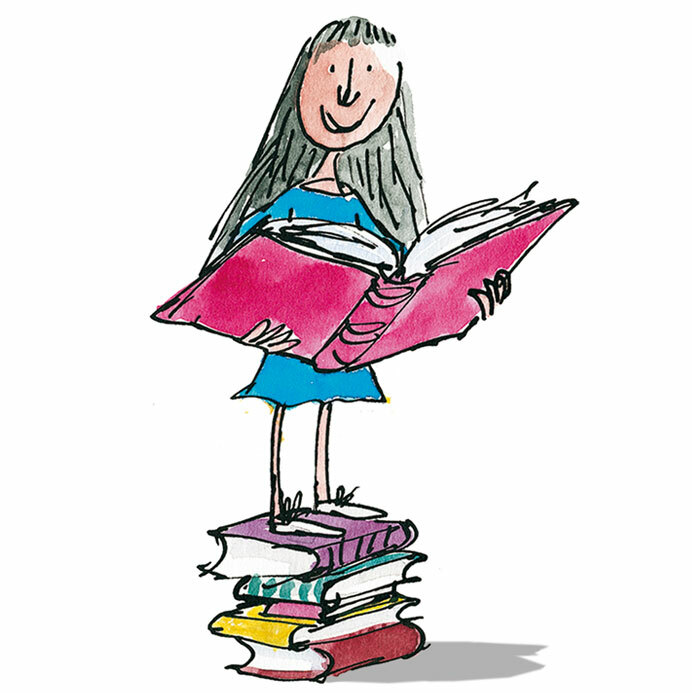 She is brave, determined, kind and bossy – wonderful traits all! The third book is my most and least favourite at the same time. Tolly and Linnet are away, and the house is rented out to homeless children. Once again, there is more focus on the social themes relating to the story. I didn’t like how fantastic the house was, with time travel, flying animals and all sorts of ‘kiddie’ magic elements, but the sub-text, of a house that has the power to heal and provide a home for the displaced is just gorgeous. At first, I found the change of primary cast to be very jarring, but as I was pulled back into the house, it became clear that the harmony that it encouraged affected more than the family that lived there. Ping in particular reminds you of an optimism for the future that, to be honest, seems a bit lacking at the moment! 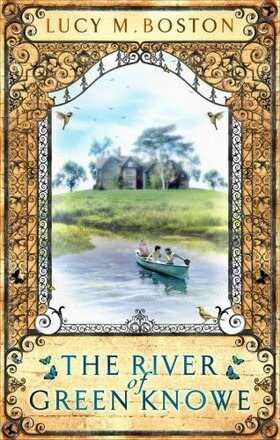 The forth in the series won the 1961 Carnegie Medal in literature. It follows Ping – one of the homeless children mentioned above – revisiting the house, and befriending – like you do – an escaped gorrilla. I was fascinated by the detailed research that went into this book, and horrified and heartbroken by the cruelty that we inflict onto the animal kingdom. Although as a story, it all seems a bit ridiculous – and while I am a dreamer, I have always been rooted in the practical – the House, as a character in its own right is so well developed, that it seems, if not actually possible, at least an appropriate metaphore. But my favourite one of the books is number 5. So naturally Idon’t want to reveal anything about it! Definately the darkest in the set, I mean, how many children’s books focus on the devil or his daughter…okay, far too many, but fewer have a detailed alphabet of doom, or discuss the difficulties of writing on bat wings! Both Tolly and Ping feature in this adventure, staying with Linnet. Naturally this leads to stories – in particular the evil Dr Vogel. The next day, a visiting academic comes in search of papers belonging to…you guessed it – the same Dr Vogel! And it’s scary. At least I found it so – all build up, and evil and hated and despair – even the ghosts struggle in this one! Finally, the sixth book takes us back in time, to the first generation of Oldknow family occuping the house. In this, all the strands are tied together in this amazing lovely little way, as Roger finds the magic that allows him to visit with Linnet, Susan, and even Tolly! Of this book, I won’t say anything at all! 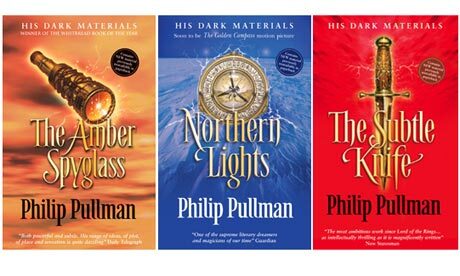 Written after the rest, it fits with the series so well, but obviously from a very different standpoint, with none of the implied history that steeps each page in the earlier books! If I could, I would donate a set of these books to every library, school and family in the country! They’re like Narnia – only less divisive. 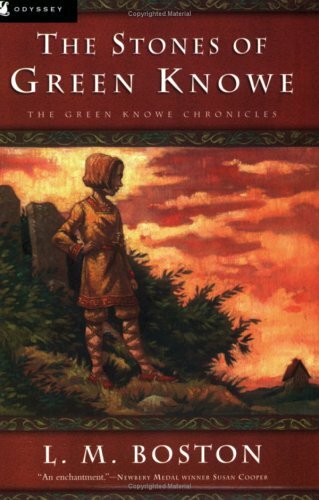 Even if you don’t love them, they are intereting, and I’ve found every re-read to be as satisfying as the last! Anyhoo, time to stop writing about books, and get stuck into one! 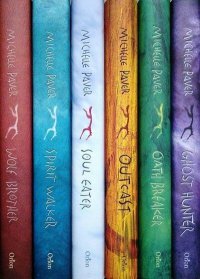 I loved these books so much, or at least the early ones. Looking at the list now, I'm not sure I read them all. Which gives me a great excuse to go and find them and read them again! You are the second person in the world I know who has read them. The only other is the mate who lent them to me! I think they are above and beyond and well worth a shout out!